Ron Winchell’s Tapiture returned to the winner’s circle in Saturday’s $100,000 Ack Ack Handicap (Grade III) at Churchill Downs defeating favorite Viva Majorca who had to settle for second. This was the homebred son of Tapit’s first victory since winning last year’s West Virginia Derby (GII) as a 3-year-old. 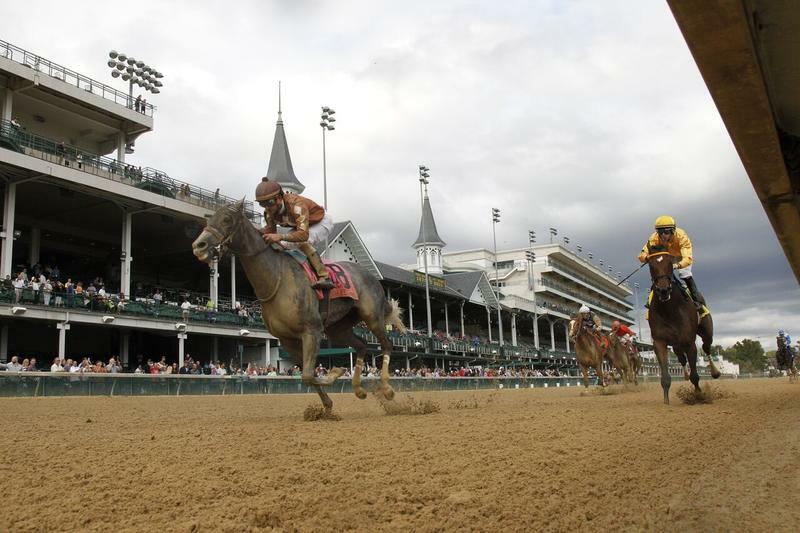 “He came out of the race really well,” Asmussen said. 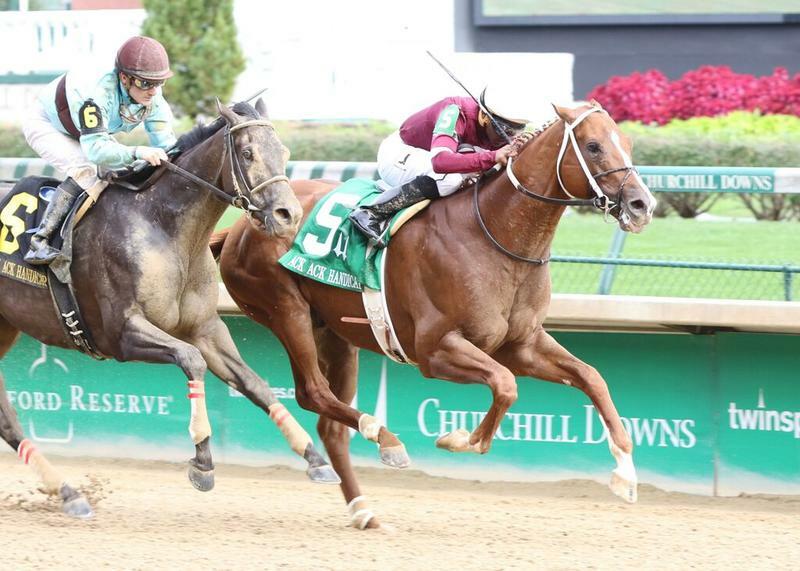 Tapiture’s likely next start is the $1 million Breeders’ Cup Dirt Mile (GI) at Keeneland on Friday, Oct 30. He finished second to Goldencents in last year’s Dirt Mile at Santa Anita. 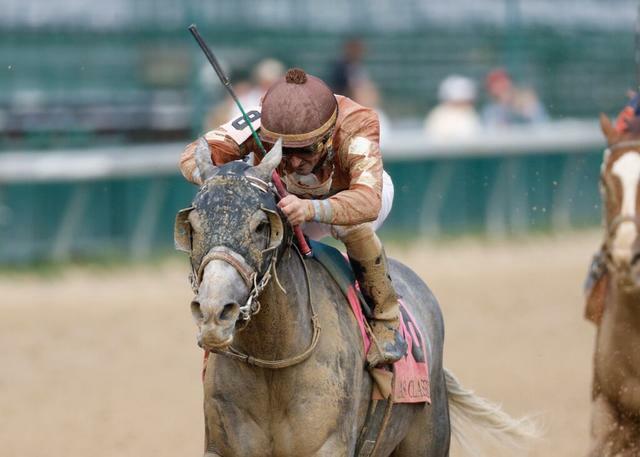 Asmussen won the 2012 Dirt Mile with Tapizar, who, like Tapiture, is a homebred son of Tapit. A.L. 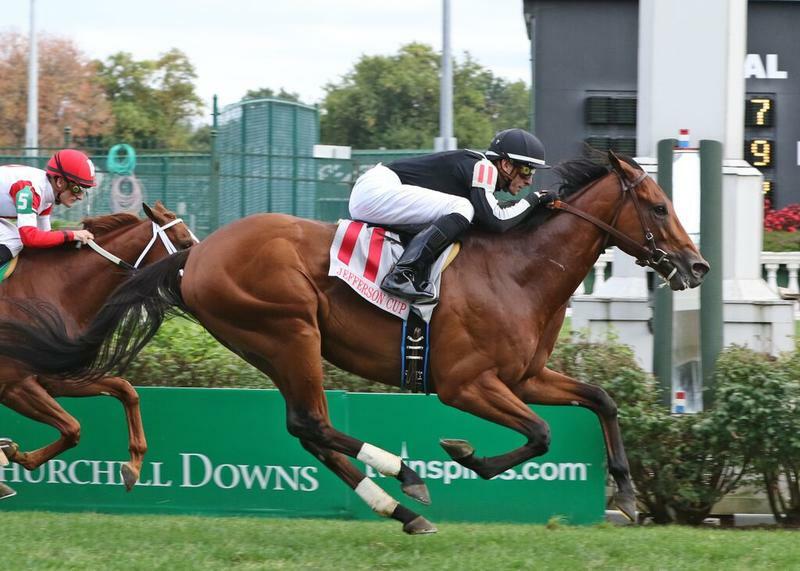 Luedtke’s Geothermal scored the first stakes victory of his career in Saturday’s $175,000 Lukas Classic and will likely target the $200,000 Fayette Stakes (GII) on the Breeders’ Cup undercard on Friday, Oct. 30 at Keeneland. Margolis ran the son of Unbridled Energy in the Michael Schaefer Memorial at Indiana Grand last time out where he was beaten a nose by Ulanbator, who was a well-beaten sixth in the Lukas Classic. “The reason we freshened him up after the race in Indiana was because there were really no races for him,” Margolis said. “I didn’t want to take him all the way up to Arlington and there wasn’t anything on the east coast. He’s always been a horse that’s trained well, and we had never run him against these kinds of horses. He’s gotten better with age because he’s healthy and it just seems like he’s really come into himself. Sultan bin Mashal’s Saham scored his first graded stakes victory in Saturday’s $100,000 Jefferson Cup (GIII) for trainer Brendan Walsh. Last time out, the son of Lemon Drop Kid was a troubled but close fourth at Indiana Grand in the Centaur Stakes where he was beaten 1 ½ lengths. With the Pennsylvania-bred now achieving graded stakes success, Walsh is weighing his options with where to run the horse next. TODAY IS CLOSING DAY OF SEPTEMBER MEET – Churchill Downs’ 11-date September Meet concludes today (Sunday). Racing on the Kentucky circuit shifts to Keeneland for the their Fall Meet that runs Friday (Oct. 2) through Oct. 31 and culminates with the two-day Breeders’ Cup World Championships on Friday, Oct. 30 and Saturday, Oct. 31. Racing at Churchill Downs will return Sunday, Nov. 1 for the 21-date Fall Meet on a Wednesday through Sunday schedule until Nov. 29.